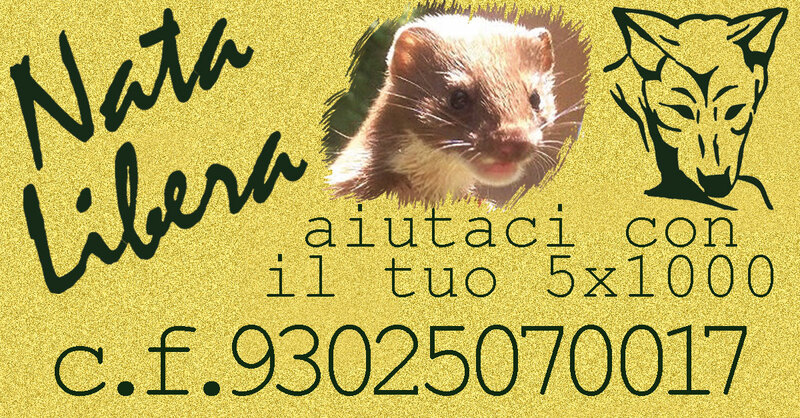 Nata Libera was founded in 1998 in Italy, with the objective of offering a lifeline to all animals that have been deprived of dignity and respect. Nata Libera offers the necessary specialised treatment and suitable environments to various species of animals that have been abandoned, suffered cruelty or have been injured. 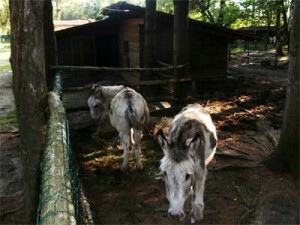 Over the years we have been able to rescue numerous animals, such as those from the zoo of Montalenghe forced to close down in 1997, or those from Naples zoo in 2004 which was in serious economic difficulties, or farm animals, working animals no longer capable of working. The sanctuary , located on the foothills of the Alps, approx. 60 km from Turin, is immersed in the tranquillity of the surrounding woodlands and usually cares for approximately 30 animals suited to this type of environment. Our sanctuary environment is particularly well suited to the rehabilitation of forest animals and birds of prey, allowing them to be rehabilitated in their natural environment (habitat) and eventually released. In this calm and safe environment, no longer subject to any form of stress, our animals gradually return to their instinctive behaviour. Nata Libera is frequently contacted to help with more complex rescues even involving non domestic animals sometimes even dangerous animals, for example from zoo environments. Nata Libera collaborates on a worldwide level with other animal rescue organizations to find suitable locations for re-homing.